I've seen an increasing number of threads where people will post a picture of a wing, bodykit or gauges and ask others whether they think it's ricey or if it looks good. 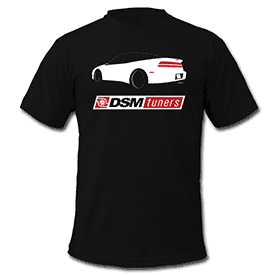 While it's all well and good to ask the opinions of others, I feel that too many of our members live and die by the opinions of their fellow DSM Tuners members. The fact of the matter is that your car is representative of your personal expression. While this is a performance based site, we have members who have managed to blur the lines of distinction by adding body kits and wings to some beautifully prepared and very fast cars. The point is that if you like something, that's all that matters. This is your car, your money and your freedom of personal expression. Asking others whether they like something is like asking someone else to tell you who you are. Make a decision, enjoy it and we'll respect you for being an individualist and standing on your own two feet as opposed to constantly having your choices validated. Savor2G, OPD509, Curtis2713 and 6 others like this.